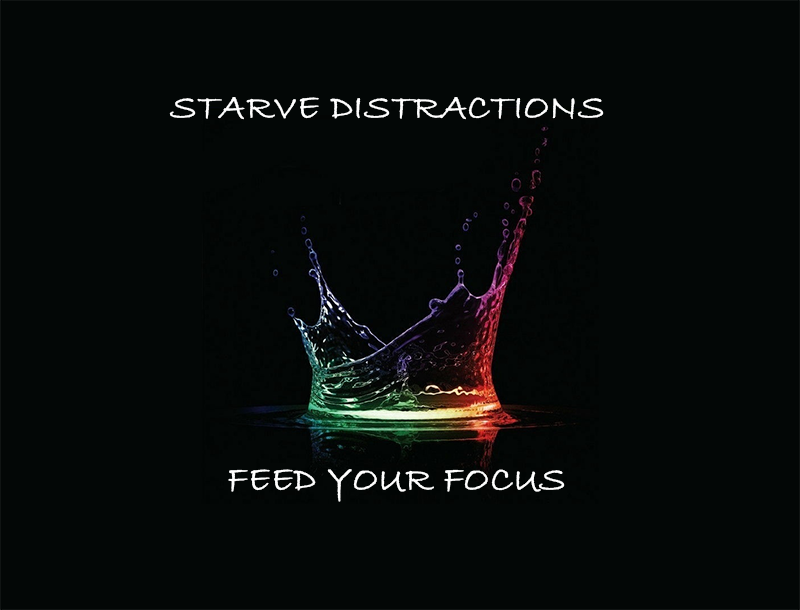 Distractions come in many forms, but are always aimed at steering us off course. It’s important to understand that the devil is not concerned with what keeps us from completing our assignment. He just wants to ensure that it doesn’t get done. The Bible teaches that Satan comes to “steal, kill, and destroy” (John 10:10) – and that applies to our purpose. Distractions sometimes come packaged as enticing opportunities, urgent obligations, hurtful criticism, unanticipated obstacles, sudden disputes, fruitless relationships, and emotional issues that keep us occupied. No matter what form they come in, distractions are dangerous. They either delay the call on our lives from being carried out – or, worse, they prevent us from answering the call. God has called you and me to do a great work in the earth. Therefore, there is no higher calling or mandate than to accept and to fulfill the purpose of God for our lives. Occasionally, we are called upon by the Lord to lay aside one calling in exchange for a higher calling so that God might use us to rebuild walls and lives that have been torn apart by the enemy. If the Lord has moved you from one place to another, or released you from one purpose in order to prepare you for another, then you must be aware of the schemes Satan will try to use to distract you from serving God’s will in a new place or new season. Satan has only a few weapons at his disposal, and one of the most effective of those is distractions. He works very diligently to capture our focus away from God’s purpose for us so that he might cause us to leave off God’s work. Here is one of the main indicators that lets me know whether or not something is a distraction from Satan: He will use both situations in your life, and he will use the flesh of others to direct the focus of your attention to you. This is the ploy used by Sanballat and Geshem that we read about in today’s passage. Sanballat, Tobiah, and Geshem used intimidation, threats, and manipulation like weapons to distract Nehemiah from fulfilling God’s purpose through his continued obedience. Satan loves to distract Christians so that lives are left unguarded from his lies and assaults. He will use lusts and fear to cause us to place our focus on “self” instead of serving the purposes of God in our life. Do you know without any doubt that you’re in the center of God’s will? If you answered “Yes,” then you must guard your heart from becoming distracted. If your answer was “No,” then you must be willing to seek God’s face and allow Him to remove any distractions from your life, thus enabling you to focus clearly on His will and not your own. You will know when you receive a “mandate” from God because you won’t be able to ignore it or run from it. Like Nehemiah, God’s hand will rest upon you. 1 Corinthians 7:35 And this I speak for your own profit; not that I may cast a snare upon you, but for that which is comely, and that ye may attend upon the Lord without distraction. We as The Bride of Christ are joined to Christ; our full attention should be on pleasing Him! Everything we do should be to please Christ and not ourselves, the world or anything else. ➢ If we give more attention to things other than God we are distracted! It’s also an agitated mental state of divided devotion; distraction and double-mindedness are two sides of the same coin. ➢ Distraction causes division of the soul! Our mind is on one thing, our will something else and our emotions are all over the place! Luke 10:38 says, Now as they went on their way, Jesus entered a village. And a woman named Martha welcomed him into her house. 39 And she had a sister called Mary, who sat at the Lord's feet and listened to his teaching. 40 But Martha was distracted with much serving. And she went up to him and said, "Lord, do you not care that my sister has left me to serve alone? Tell her then to help me." 42 but one thing is necessary. Mary has chosen the good portion, which will not be taken away from her." The next thing is Martha starts talking to Jesus about something that’s not important to Him! First of all Martha invited Jesus to her house, not Mary! So Mary came over to her sister’s house to hear Jesus teach not to cook, clean and set up tables. Martha is so distracted by the preparations that she goes to Jesus her honored guest and asks Him to help her manage her household affairs. Martha is distracted by serving instead of getting the wisdom of God from Jesus—she complains to Jesus about her sister not helping. prepare for anything else but listening! He wants to steal The Word! Now the focus is on Mary and not on Jesus! When we get distracted we lose focus on the main thing and our attention goes to minor things. Instead of listening to Jesus she’s talking to Jesus—distraction can causes us to talk & complain when we should be listening & learning! • Distraction can cause us to miss out of something good! Martha got so distracted with cups, plates and chairs that she lost sight of Jesus presence in her life! • Another definition of distraction is to get off track! The question today is what’s drawing us from what God intends? Jeremiah 31:3 says The LORD hath appeared of old unto me, saying, Yea, I have loved thee with an everlasting love: therefore with lovingkindness have I drawn thee. God seizes our attention with His love, grace, mercy and goodness! God uses His love and favor to keep our attention on Him! Have we gotten distracted and forgotten all God’s done for us? Distraction is getting off track! It’s a drawing away of the mind, mental disturbance. Have we gotten off track focusing on The Presidents issues, violence in the streets, our personal goals? Deuteronomy 30:17 says, But if thine heart turn away, so that thou wilt not hear, but shalt be drawn away, and worship other gods, and serve them! Who or whatever has our attention has our worship! When we stop recognizing God’s loving-kindness in our lives we are easily drawn away from God and our focus is on ourselves; what we want, what we’re going through and not on what God is doing in our lives. Ever find yourself struggling to focus? Yep, me too. In a constantly-connected world, we always seem to have distractions at our fingertips. Sitting down and concentrating, whether it’s on a report for work or an essay for school, can be really tough. And, all too often, we make it harder on ourselves. Here are four simple ways to boost your chances of concentrating. This might sound like a silly tip, but it can be incredibly effective. When you start working on something, write down what you’re doing. For instance: “Finish report on widgets” or “Respond to all new emails”. Whenever you get tempted to do something else, or when something “urgent” comes up, look down at your bit of paper and remind yourself of what you’re doing. If you do switch tasks, make a note of what you’ve changed to. It’s surprising how often we end up working in a stimulus-response way, jumping to whatever grabs our attention or whatever happens to be on our mind. It’s very hard to stay focused if you’re in a busy, loud room. Conversations, phone calls, other people’s music, even traffic noise can be very intrusive. Of course, most of us don’t have the luxury of working in monastic silence – but do what you can to improve your environment. That might mean taking your books to the library, instead of studying in your home. It could mean putting headphones on and playing your own music to drown out background distractions. A “quiet” environment is also one which doesn’t have too many distractions. If your desk is piled high with clutter, or if you’ve got the television with your line of sight, it’s very easy to let your focus slip away from your work. If you’re tired, it’s hard to focus. I’m sometimes tempted to skip sleep in order to have an extra hour or two to get things done – but I know it’s a false economy. If I “save” an hour by not sleeping, I’ll end up losing more time than that because I’m slower and less productive during the day. As a short-term fix, caffeine can perk you up and help you focus – but don’t get reliant on it. As well as getting enough sleep, you’ll want to make sure you’re drinking enough water. Getting dehydrated will sap your concentration and your energy levels. I keep a bottle of water on my desk, so that I don’t need to keep getting up to refill a glass … and so that if I knock it over, I won’t get water in my keyboard. Hunger cuts into your focus – but so does too heavy a lunch. Make sure you’re eating enough to keep energized, but avoid huge meals which will just make you sleepy. Having a small snack mid-morning and mid-afternoon, and a smaller lunch, may do wonders for your concentration. Okay, your ability to concentrate isn’t literally a muscle – but it can feel that way! 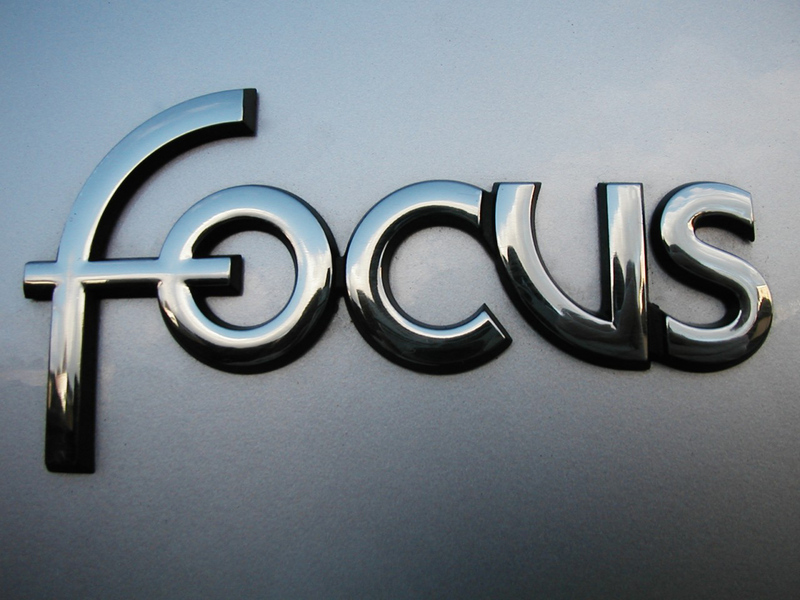 Just like a muscle, your concentration gets stronger the more you use it. If you manage to maintain your focus despite feeling a bit distracted, you’ll find it that little bit easier to concentrate the next day. Conversely, if you always succumb to the temptation to check Facebook and Twitter and read web comics, you’ll find that it becomes a more and more ingrained habit. How can you build up your ability to concentrate? •	Learn to watch your own thoughts – notice when you feel an impulse (like “I’ll check Twitter now”) and resist! How good are you at concentrating? Do you have any tips to share – or any stories of times when an inability to concentrate gave you problems? The Power of A Scent! How Utterances Stop Every Demonic Advances. THE BAD SMELLS OF POVERTY. REJECT IT! 6 THINGS YOU MAY BE TAKING FOR GRANTED RIGHT NOW. Have You Mastered Your Tongue Yet?